Nothing is more frustrating to a customer than having to wait for you to return their call after having already dealt with a bad experience. By delaying the resolution time, you are only making the problem bigger, the customer more upset and the solution more difficult to carry out. In many cases, the speed at which you respond to an issue may erase any negative feelings the customer had. A great way to do this consistently is by implementing a standardized process, specific to such problems. Putting the blame on an employee to satisfy a customer is unprofessional and not a long term solution. It also erodes a good relationship between you and your employees, something that will not bode well for your customer service aspirations. Similarly, going into a sensitive situation blind and without bothering to understand the core of the problem is pointless and may even add insult to injury. Your lack of understanding will only agitate them more and will escalate the situation. 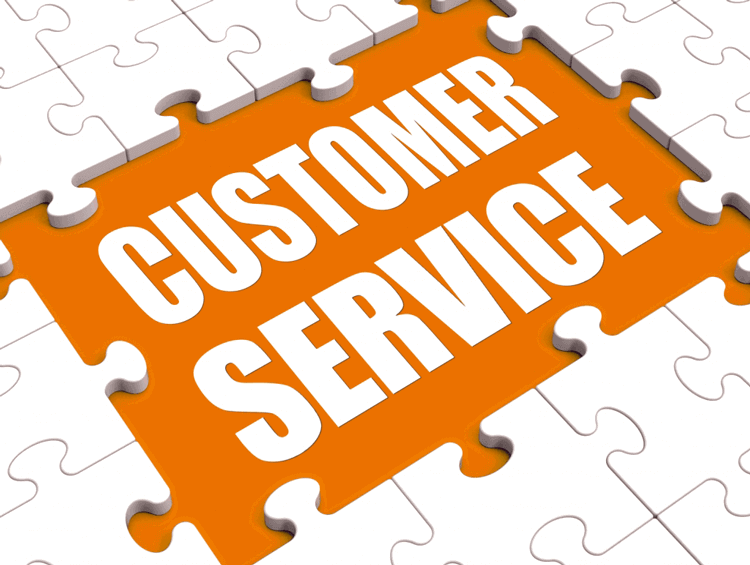 When an upset customer brings their complaint to your attention, do your best to identify the root cause of the problem and see it from the eyes of the customer so that you are able to resolve the situation in a manner relevant to the issue. This also helps you to avoid offering ineffective generic responses to all complaints. Since we have come to terms with the inevitability of bad CS situations, your organization should be prepared to deal with them. This can be in the form of a heartfelt apology along with a tangible resolution that may ease their frustrations and help in resolving the situation. A small discount or a complimentary gift with their next purchase is a small but meaningful incentive and may encourage your customers to be more receptive to your attempt at making their experience a little better. However, one must keep in mind that the success of a monetary apology is not guaranteed and may not work well in all industries. Most bad experiences emerge from the customer feeling that they have been cheated or had something taken away from them. Examples of this include being overcharged for a product, a product or service not meeting its monetary value or even a late delivery. You must realize that not meeting your customers' expectations makes them feel like they have been deceived into buying the product. Naturally, the best way to deal with this is by returning to them what they have lost. In the event that you do overcharge for a product, make the refund process smooth for your customer. Similarly, a possible solution to a late delivery could be the reduction or elimination of the shipping fee. It is extremely difficult to deal with angry customers, and it is not easy to find an organization that is able to emerge from complications with an even better reputation than before. But those who can, should be considered legendary CS providers. For example, Lexus was able to turn the dread that comes with a car recall into pure joy when it decided to simply switch a number of its customers' faulty cars with brand new ones, rather than just fix their cars.